After surviving a devastating fire in 1994, St Agnes Church didn’t need any more setbacks. 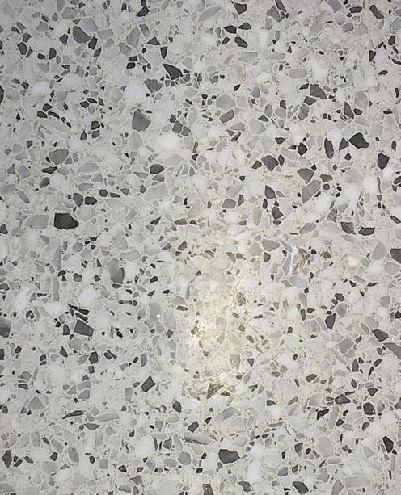 When it came time to rebuild, caretakers of the late 19th century church thought they were making the right decision by choosing terrazzo, for its longevity. 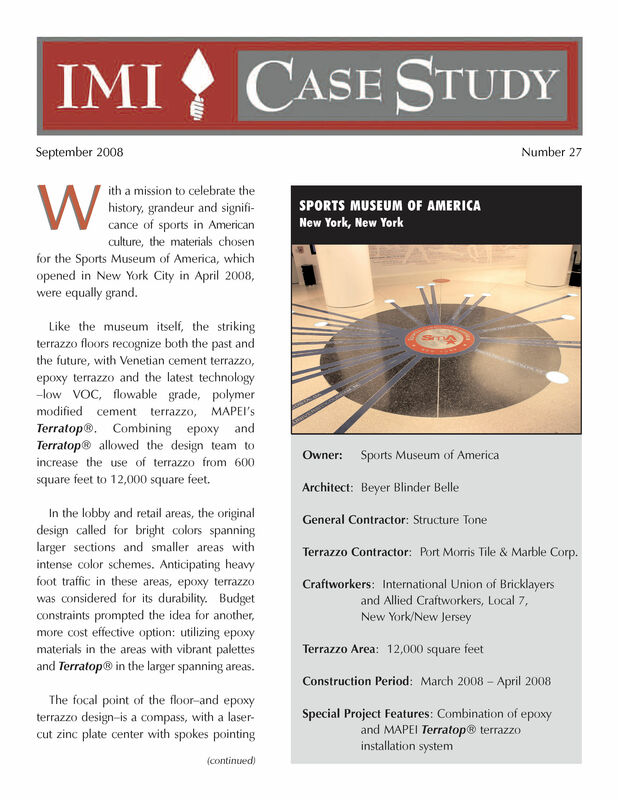 With a mission to celebrate the history, grandeur and significance of sports in American culture, the materials chosen for the Sports Museum of America, which opened in New York City in April 2008, were equally grand. New York City’s Columbia University is committed to providing a safe, beautiful and functional campus environment, and its facilities department is responsible for overseeing a wide array of renovation and improvement projects for buildings both on and off campus. 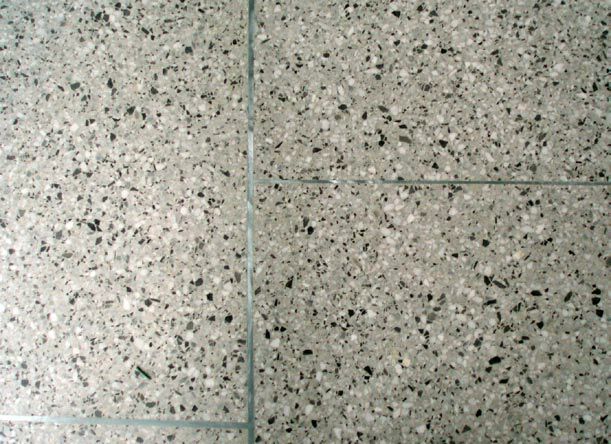 When university officials decided to install new terrazzo flooring in the six chemistry science labs at Columbia’s Chandler Hall, they faced several challenges. 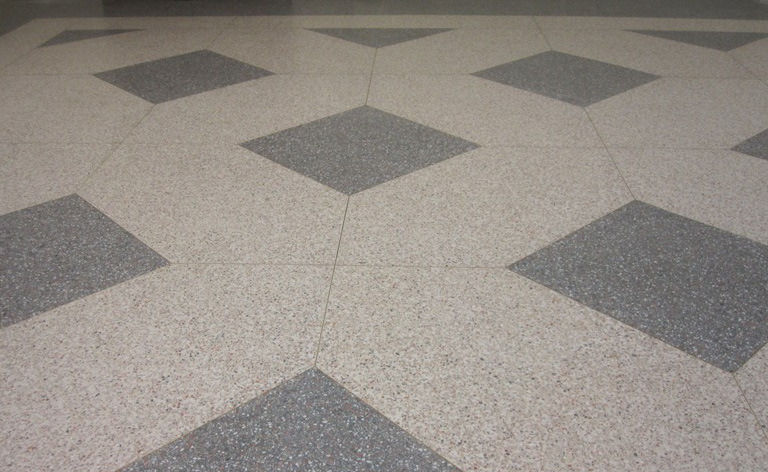 As Bellevue Hospital in New York City neared completion of its most recent addition, officials realized they needed to install an exceptional flooring system in the new building. In addition to housing Bellevue’s Forensic Biology Laboratory, the facility would also be home to the Kips Bay Emergency Medical Service Station for Battalion 8 of the New York City Fire Department. 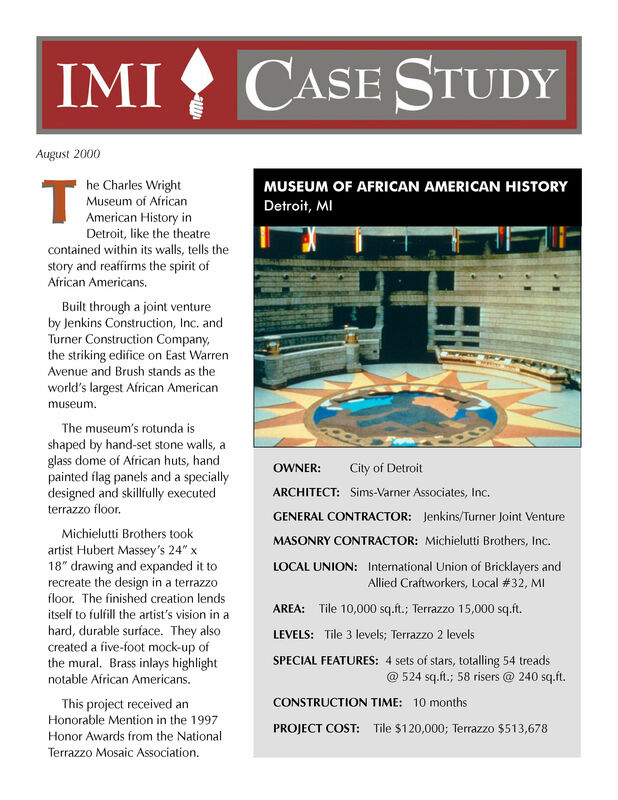 The expectation for heavy foot traffic meant the flooring had to be durable. At the same time, the hospital wanted to utilize a material that was both cost effective and attractive.